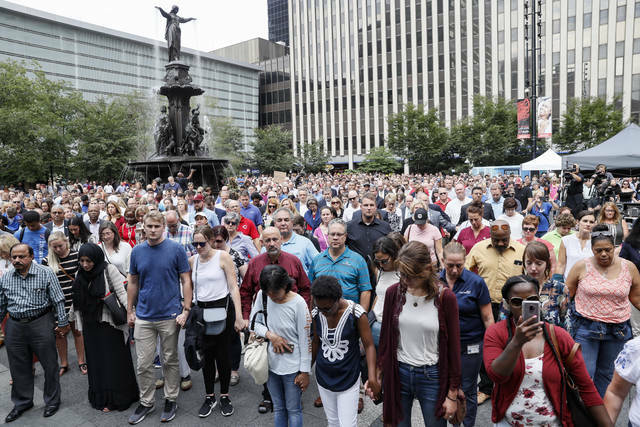 CINCINNATI (AP) — The three people shot and killed in the lobby of a Cincinnati office building didn’t have any apparent connection to the gunman. Two others recovering from being shot and who remained hospitalized Saturday didn’t work there every day, but they were there for meetings on Thursday morning. Police don’t know yet why 29-year-old Omar Enrique Santa Perez began shooting randomly inside the bank headquarters. Investigators say he had never worked in the building or had any known association with it. The 64-year-old was overseeing work on the building’s third floor, the company said. Prudhvi Kandepi came to the United States four years ago from India after graduating from college and received a master’s degree in computer engineering from the University of California in Riverside. “To help us all more, he got a good job offer and it was a really tough decision to make because he was leaving everything behind,” she said.